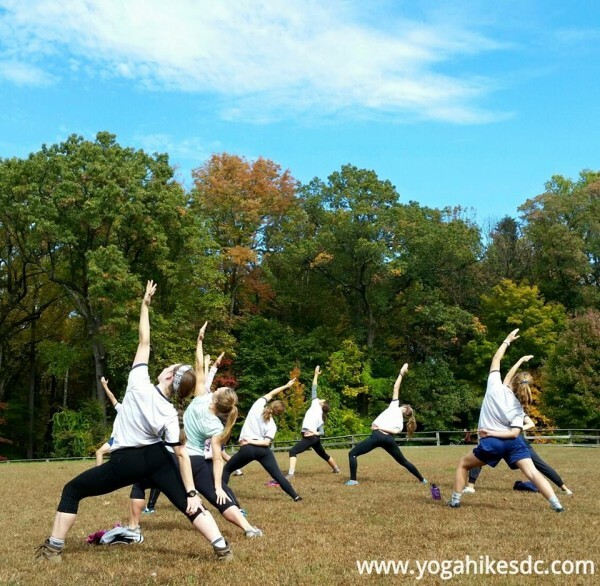 Welcome to Yoga Hikes DC! 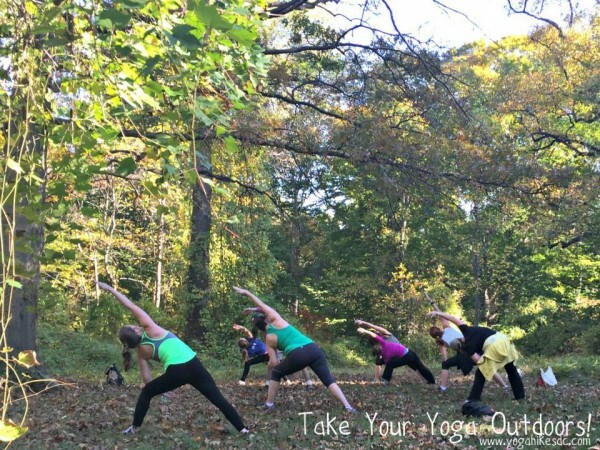 Founded in 2013, by fitness and outdoor enthusiast Danielle M. Reyes, Yoga Hikes is an active, fun, and social way to have a cardio-based yoga experience while exploring the great outdoors of the Metro DC area. Our Urban and Nature Yoga Hikes combine the cardio benefits of well-paced hiking with the strengthening moves of yoga for an intimate group workout that is accessible to yoga practitioners of all levels. Yoga Hikes are led by certified yoga instructors who will keep you moving, provide hands-on assists, and help you advance your yoga practice. Instructors are also knowledgeable trail guides who will take you on routes that combine hills, stairs, and distance for a great overall workout. Yoga Hikes are limited to 12-15 participants to foster a fun social atmosphere and ensure that you have the attention you need for the best possible experience. So if you are looking for something awesome to do outdoors, want to explore more of Washington, DC, are ready to go beyond the bike trail in Rock Creek Park, or just love taking on new fitness challenges, come join us for a #YogaHike! What is a Yoga Hike? Yoga Hikes are approximately 90 minutes and explore both urban neighborhoods and nature trails in and around Washington, DC. Hikes typically have three 15 minute YogaStops, (about 45 minutes of yoga total) with three stretches of trail hiking in between each stop. We have come up with a variety of interesting Urban and Nature Hikes designed to engage you physically and mentally in a scenic outdoor setting. 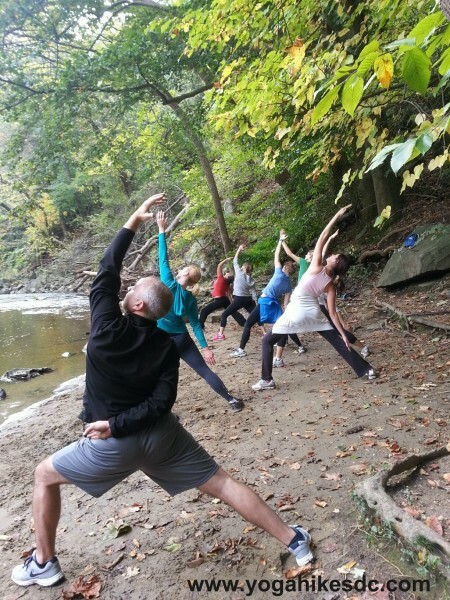 Urban Yoga Hikes build off of the energy of the city while discovering secluded green spaces. While Nature Yoga Hikes take advantage of the serenity of the fields, river banks, and amazing wildlife of this region. For more details and logistics on our Yoga Hikes click here. Yoga Hikes DC are scheduled as private groups. Private groups can be organized at any time of the year! Contact us directly at danielle@yogahikesdc.com or (202) 670-6120, to request a customized Yoga Hike experience tailored for the interests of your private group (up to 15 people). Where do we Yoga Hike? 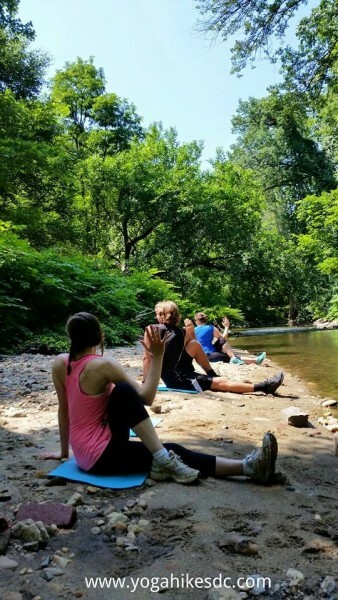 Yoga Hikes start from four locations: 2 Nature Yoga Hikes in Rock Creek Park and 2 Urban Yoga Hikes in Rosslyn, VA and Dupont Circle. Get details on parking, restrooms, and specific directions here and in your registration confirmation and reminder emails! * Peirce Mill at Tilden St. and Shoemaker St. NW off of Beach Drive. * Rosslyn, VA at Rosslyn Business Improvement District‘s office facing Gateway Park.